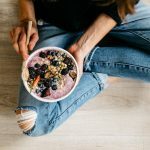 “In my opinion, the best salads don’t need complex dressings because the ingredients themselves offer a perfect harmony of flavors,” says Danielle Locklear of Forage + Fodder. 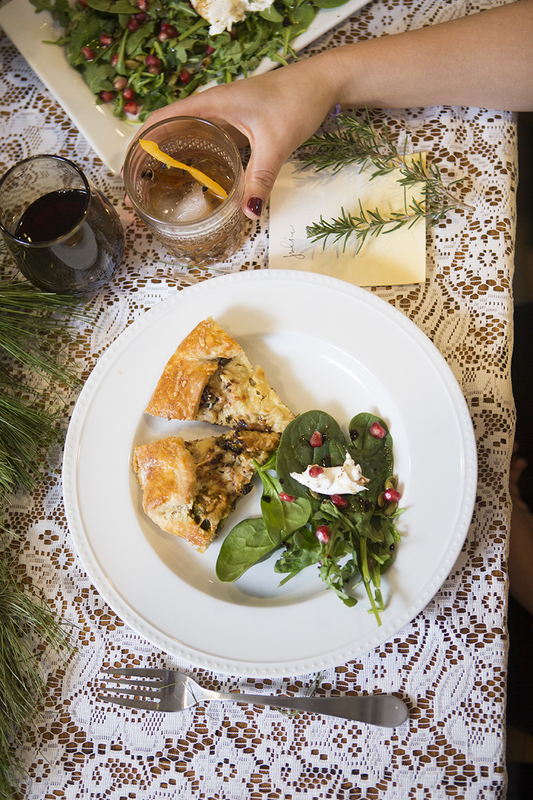 “This salad is all about the presentation, so it’s best served family style.” See the full holiday party where Danielle and her husband Austin served this gorgeous wintery salad here. Arrange fresh greens evenly across your serving dish. You'll want to avoid a pile of greens, since this is not a tossed salad, to ensure your guests get all the ingredients no matter where they serve themselves from. Sprinkle with chilled pomegranate seeds and pepitas. Gently place burrata rounds atop the salad and slice just enough to open them up (you can also have the guests do this step at the table if you prefer). Sprinkle entire salad with sea salt and fresh black pepper. Drizzle with olive oil and balsamic reduction. If you'd like a heartier salad, add slices of roasted beets. 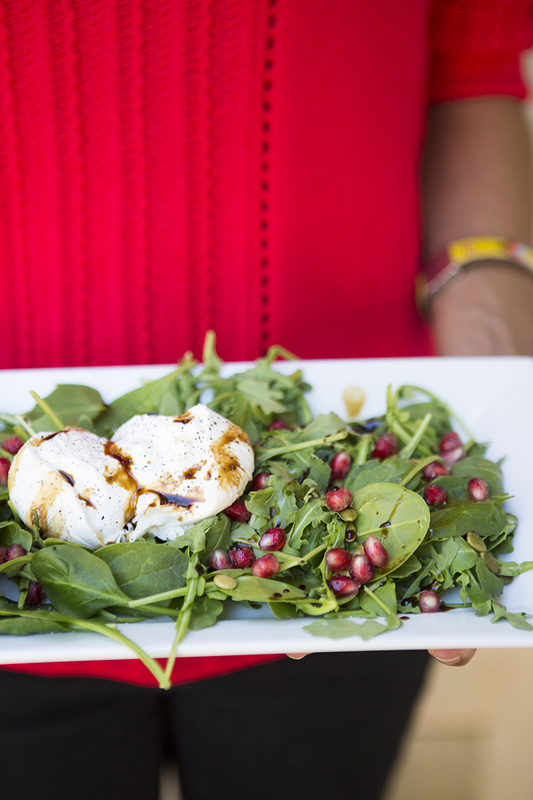 I love Burrata Salad, and this one looks especially delicious!